What do you get when you combine thousands of Boy Scouts over dozens of years attending thousands of campouts? 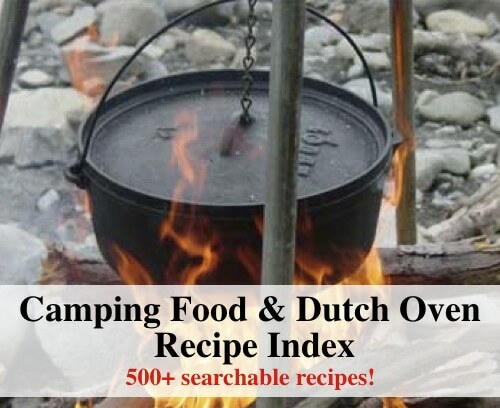 You get over 500 incredibly tasty, time tested and practical camping recipes. Have you tried a campfire potato? Breakfast in a Can? Or maybe a Dutch Oven Sausage & Egg Breakfast? These are just a few of the many creative, and sometimes odd, recipes you’ll find on this post. You’ll find over 500 recipes alphabetized and categorized by breakfasts, lunches, and dinners. And, of course, there are plenty of desserts to satisfy everyone’s sweet tooth.